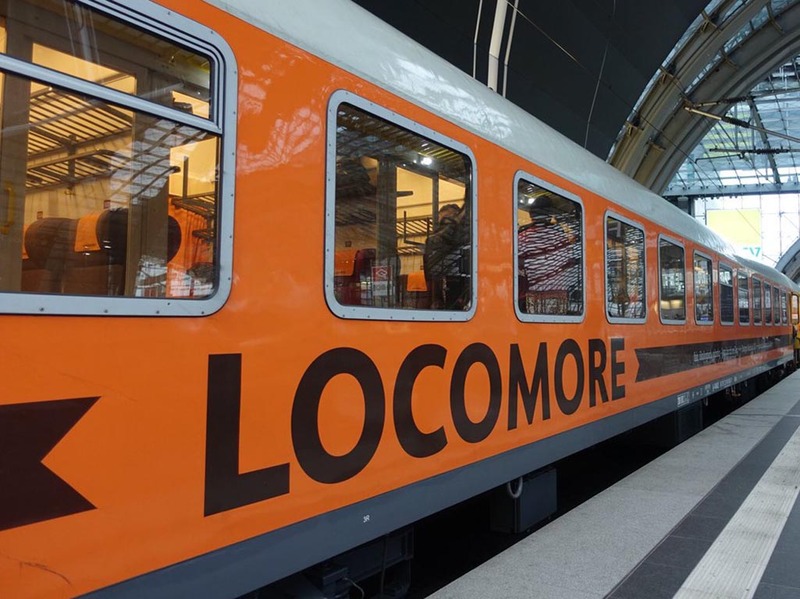 A locomotive that formed part of the German national railway fleet back in the 1970s has revived its vintage harvest orange carriages in a private, crowd-funded venture to bring discriminating passengers from Stuttgart to Berlin, with various whistle-stops along the way. Outside of a few tourist trains along special routes, I can’t recall seeing anything but Deutsche Bahn trains at the station but am given to understand that there are no barriers to competition, if another carrier has the engines and the staff to run them safely. Though not a substitute for commuters and those on a tight schedule, Locomore aims to attract a certain base of clientele—at a quarter of the cost of the regular fare between the two metropolises at a mere twenty-two euros, that feels the journey should be a pleasurable and social responsible experience. The six-hour trip (and travel by train in general) is powered by renewable energy sources and offers organic (Bio) and locally-grown drinks and snacks. Moreover, the cars are outfitted to invite passengers to join communities in different compartments for those who might want to take in a work-out, photograph the passing countryside, chat over coffee or sequester their children during the journey. I think it would be leagues more enjoyable to travel in this sort of bargain luxury, rather than the harrowing car trip or one of those long-distance buses—that are just as prone to getting stuck in a Stau (traffic snarl) as any other vehicle on the road, even if you can leave the driving to someone else. I think I’ll have to hitch a ride to points north on the Locomore express, seeing that they stop in Frankfurt and are planning expansion to more destinations.